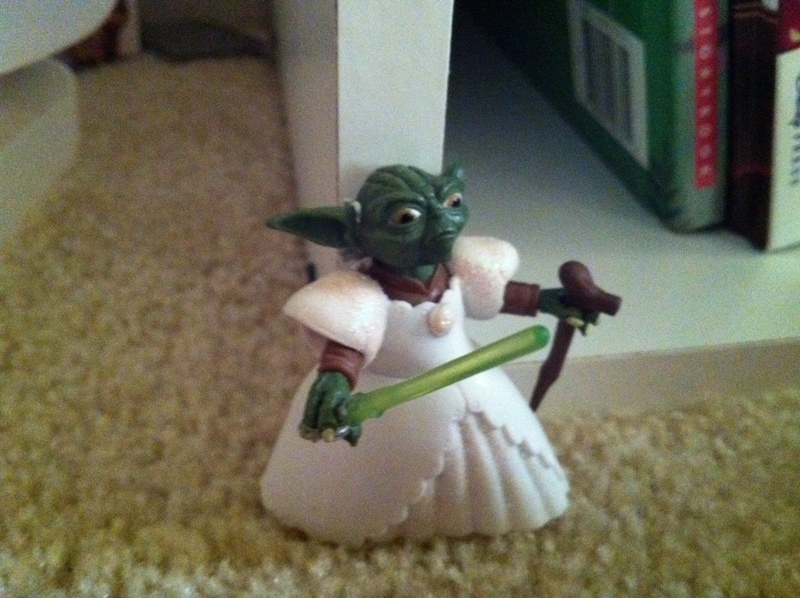 To Piper, even Master Yoda transcends gender boundaries. 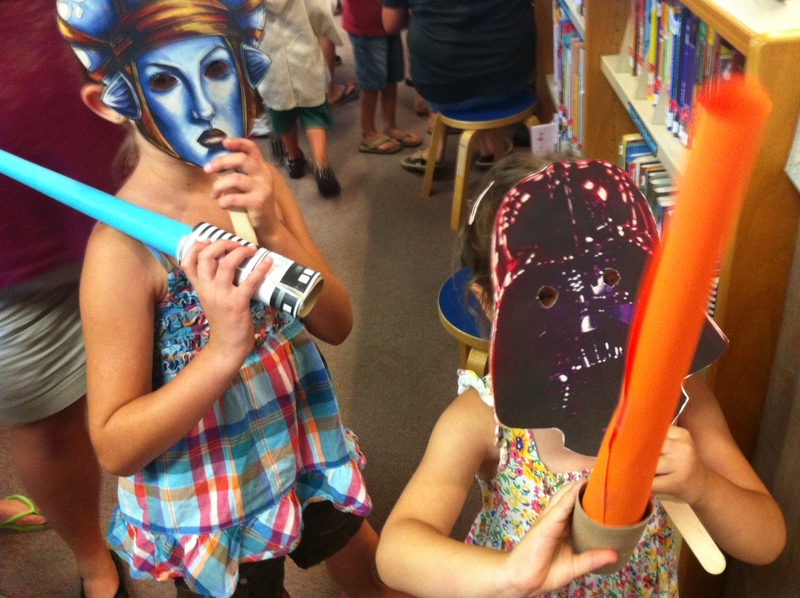 This entry was posted in Daily Dharma and tagged girls, piperism, star wars, yoda by melissa.scholes.young. Bookmark the permalink. He’s new and improved Yoda! Kevy and I were both so into Star Wars as kids as well, an obsession courtesy of my father. He’d even pull us out of school so we could go see the movies on the first day they came out (we were too young for midnight premieres). Love that these guys like Star Wars too! A dad who busts you out of school for a Star Wars preview gets an A+ from this teacher!